The ability to respond effectively to change is perhaps the most important factor in determining the success or failure of a non-profit organisation. This practical textbook, reflecting trends and developments in the non-profit sector over the past decade, encompasses the core competencies required to lead non-profit organisations through social innovation and impact during the 21st century. It distils the wisdom of leaders from highly successful non-profit organisations in the U.S., who have weathered a difficult recession and flourished amidst economic globalization, geopolitical shifts, and startling technological change. 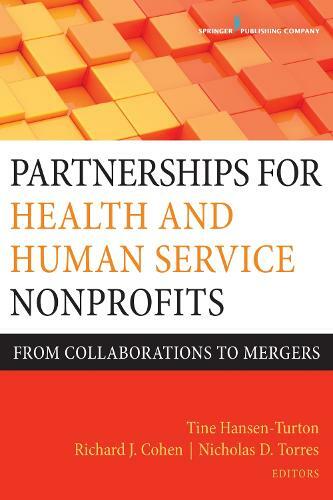 These contributors provide a comprehensive framework for running and managing non-profits, including the tools needed to affect social change through ethical practices, management and leadership business strategies, social marketing, and policy analysis across government, non-profits, and philanthropy. Authors describe how they were able to stay afloat during difficult times while still meeting their missions, providing quality services, and realizing outcomes that make their services relevant to funders, self-sustaining, and even profitable. The book addresses solutions to key problems for non-profit professionals: creating a return on investment defined by concrete outcomes and ability to demonstrate their organisation's impact. Chapters discuss the fundamentals of and best practices for financial management, evaluating and managing organisational impact, disruptive vs. sustainable innovations, characteristics of next-generation non-profits, and much more. Several case studies are presented by practitioners who have used innovative principles to organise, create, and manage ventures to influence social change locally, regionally, and beyond.